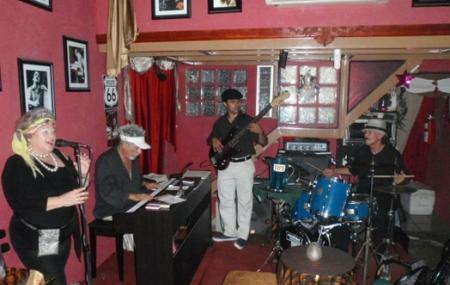 Not just for jazz enthusiasts but for those looking for a cozy atmosphere, Two for the Road is a lively albeit small bar that offers its patrons foot tapping jazz music and a buzzing ambiance. Located in a decrepit corner where you wouldn’t normally tread, this bar is quite a revelation. Simply decorated yet offering good food and drinks, this bar is fast gaining popularity for its nonchalance. The hosts Marty and Kathy do a marvelous job at the keys and vocals. Reach by cab or walk here. How popular is Two For The Road? People normally also visit Lovers Beach while planning their trip to Two For The Road. Visiting Two for the Road was among my best experiences in Cabo. The owners are incredibly kind, funny, and a joy to be around. The jazz was incredible and beautiful and the drinks were delicious and strong. You can't ask for a friendlier, cozier atmosphere anywhere. Each night was unforgettable! This is going to be my number one recommendation for anyone who visits Cabo. Absolutely charming. A family business provided a wonderful atmosphere complete with excellent jazz music! Very charming and intimate. Staff is awesome. Performance was great. Not that big of a venue and a bit hard to find but I enjoyed my time there not disappointed at all. Awesome live music, the owners are really nice people, and great musicians too!